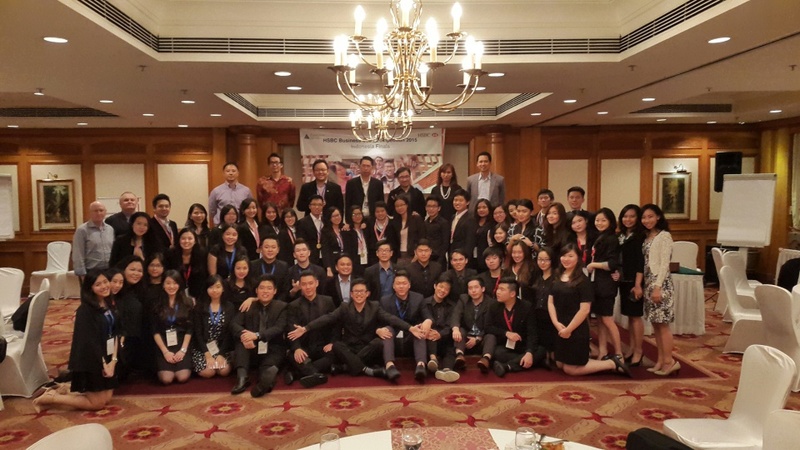 BINUS INTERNATIONAL Trading Enterprise (BITE) – a student club specializing in business, trading and exchange – held a HSBC Indonesia business case competition on April 11 and 13. Eight teams from the top eight universities in Indonesia participated. BINUS UNIVERSITY came first, beating Prasetiya Mulya. Universitas Pelita Harapan came third. BINUS INTERNATIONAL, and the University of Indonesia filled out the top five. The competition was an educational program from HSBC aiming to develop talent, innovation, and analyze the skills of the business students. As the winner, BINUS UNIVERSITY team was awarded Rp 25 million and the chance to go to Hong Kong to compete in the Asia-Pacific-level competition. Aside from the competition, there was also a seminar titled ‘Empowering Your Potential’, presenting speakers from the fields of business and finance, such as: Aji Setiawan, HSBC Indonesia Head of Global Markets; Goris Mustaqim, an entrepreneur and the founder of ASGAR Muda; and Shinta Witoyo Dhanuwardoyo, the CEO/Founder of Bubu Internet. BITE was entrusted by HSBC Indonesia to hold this event thanks to a recommendation from one of the partners, Prestasi Junior Indonesia (PJI) due to their success in organizing SIMBIZ 2015, last January. “They were impressed with the organization of SIMBIZ. From there they asked us to organize this event,” said Richie Wijaya, the President of BITE and the project leader of the event. Richie explained that his team prepared very carefully, in accordance with the working pattern in their organization. It took 2 months for the team to prepare. The preparations included doing research of the candidates’ universities, selecting them, and meeting the needs of the participants. “We conducted thorough research on capable and outstanding universities in order to ensure the integrity of the event,” Richie said. The hard work of BITE team paid off and the competition was deemed a success. All of the parties involved in the event complimented Richie and his colleagues for their professionalism.